A summary of our club meetings. 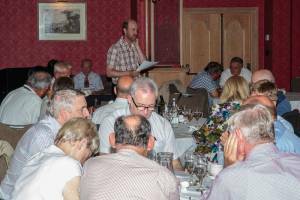 2014-07-23 Annual quiz versus de la Manche. 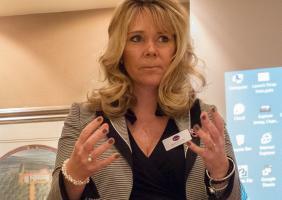 2014-08-13 Anti-Bullying Alison Fox from the Jersey Community Relations Trust. 2014-08-27 Diane Marsay Bel Royal School, helping young people to learn to read. 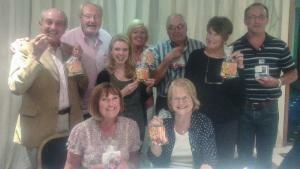 2014-09-26 Good Companions Club Quiz a win for Rays Or Sharp! 2014-10-10 Jersey World Porridge Day in aid of Mary's Meals. 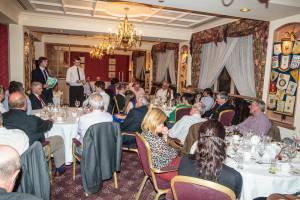 2014-10-22 "The work of the CAB" Malcolm Ferey, postponed to 25th February 2015. 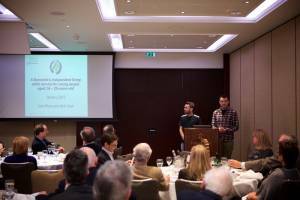 2015-01-14 Barnado's Independent Living Skills Service. 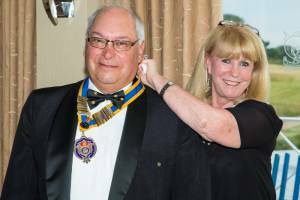 2015-05-27 AGM and Club Assembly. 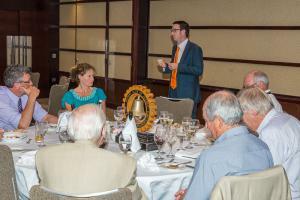 2013-09-25 Mike Bowron Chief Officer, States of Jersey Police and presentations to Jersey Heart Support Group and Motor Neurone Disease Association Jersey Branch. 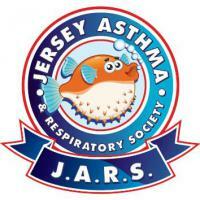 2013-10-09 Alison Norman, Jersey Asthma and Respiratory Society presentation and talk. 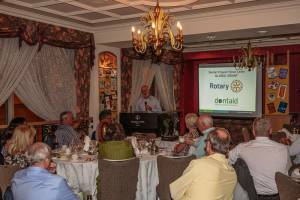 2013-10-23 John Reed, Rotary's new web sites and global branding. 2013-10-30 An evening at the Arts Centre "Waiting for God". 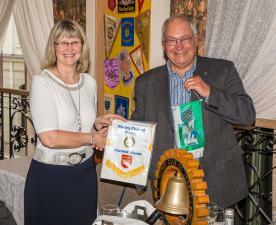 2013-11-13 Tracey Watson Jubilee Sailing Trust and induction of new member Gary Tye. 2013-11-27 SGM and Rotary International Presidential Citation. 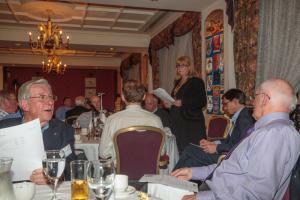 2014-01-22 Honorary Member Cliff Blanchet and a Good Companions Club briefing. 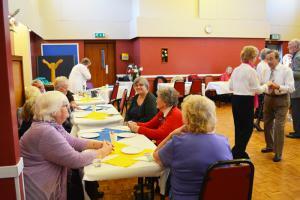 2014-01-26 Inner Wheel Overseas Brunch in aid of Aquaboxes. 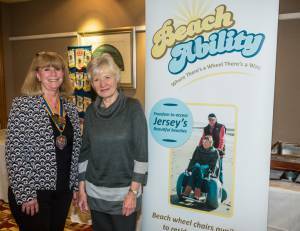 2014-02-12 Beach Ability - Margaret Le Herissier. 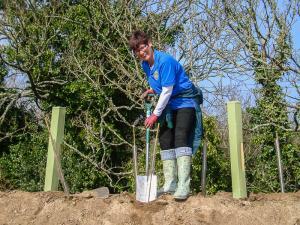 Planting and maintaining trees to screen the Pump Track from neighbours. 53 laps raises Â£300 and Colin Powell swims in his 44th Swimarathon. 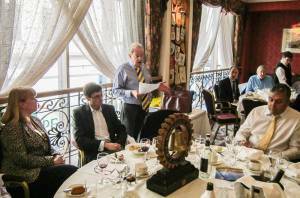 The annual changing of the Club's Officers for a new Rotary Year starting each 1st July. 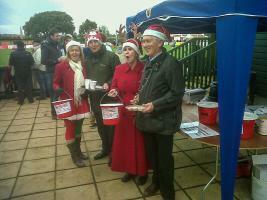 Rotarians having fun in the sunshine helping 80 youngsters and their carers to have a day out. 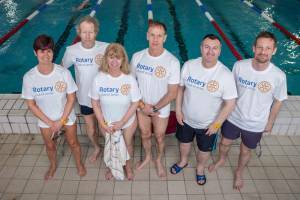 2015-05-29 Visit of Rotaryklubb Bryne, Norway. 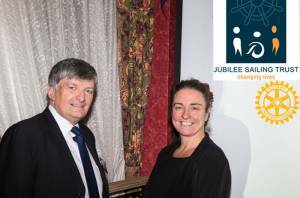 President Else Johanne Bryne and 17 members and partners visit Jersey. The year complete (almost) and the year ahead. 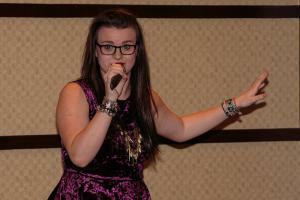 A briefing on this new Service aimed at young people aged 16 to 25. 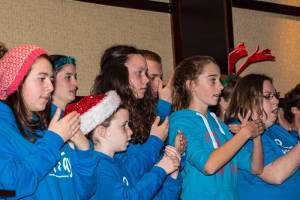 Carols from Earsay, award of a Paul Harris Fellowship, 3 new members, President Ray's star turn, great food and Santa Claus with his delightful assistant. 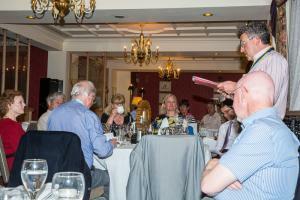 2014-09-26 Good Companions Club Quiz. 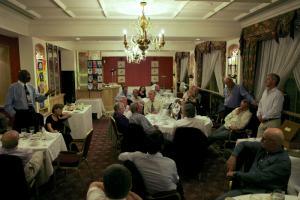 The Annual Fun Quiz to raise funds for Good Companions this year held at the Hotel Ambassadeur. Our club reading project at Bel Royal School. 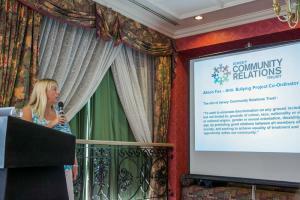 A talk by Alison Fox from the Jersey Community Relations Trust. An evening of relaxation at Les Mielles de Morville. 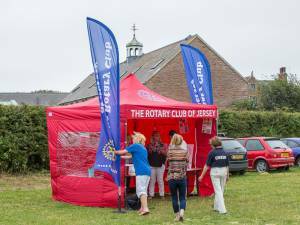 Rotary Club of Jersey versus Rotary de la Manche a needle match. 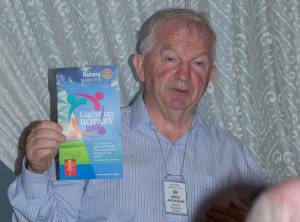 An opportunity to give Rotary a Public Face. 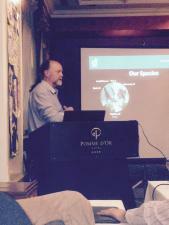 Kevin Kelly CEO of Brighter Futures brings us up to date with their work at the Bridge. 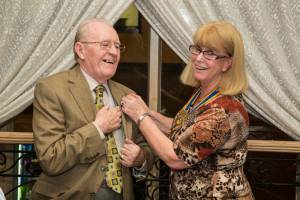 The start of a new Rotary Year and President Toni "hands over" to Ray Shead our President for 2014-15. 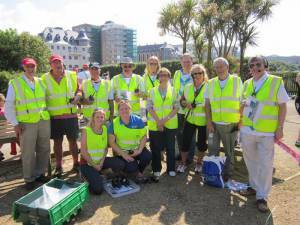 The annual Race for Life in Jersey marshalled by Rotaraians from the Jersey and de la Manche clubs with help from their friends. 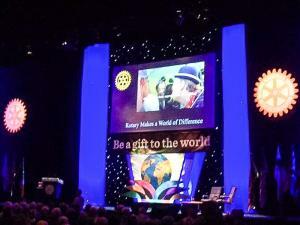 Rotary 2014-15 The Year ahead. 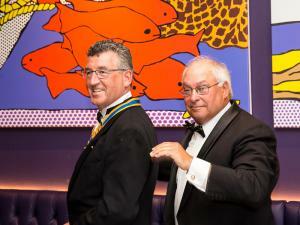 Our plans for the next Rotary year 2014-15 - President Elect Ray Shead and District Governor Elect Mike Jackson. 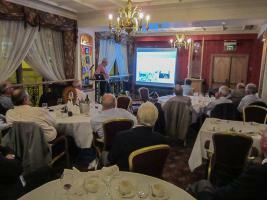 A party of 9 Rotarians from Paris arrived via Granville for a club weekend in Jersey. 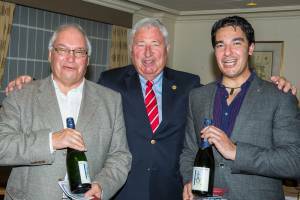 Having moored their yacht in the St Helier Marina they joined the Rotary Clubs of de la Manche and Jersey for a friendship dinner. 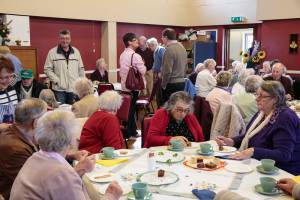 An annual event with Rotarians taking their guests for an afternoon drive followed by tea at the Good Companions Club prepared by members of Inner Wheel. 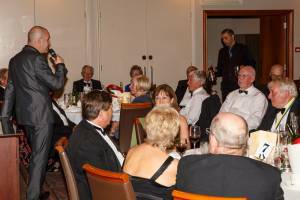 Celebrations of the Club's formation in 1924 with a 1920s style dinner dance at the Somerville Hotel. Six Young Enterprise Companies brief us on the successes and problems they have encountered whilst running their companies since September 2013. 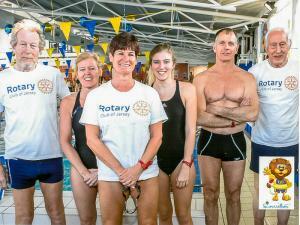 Our team contributes 52 laps and £300 to the overall success of this year's Lions Club Swimarathon. After the questionaire sent to all members a briefing on the results and where we go from here. 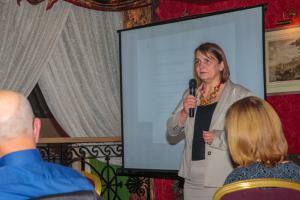 Report on progress made formulating a 3 year business plan in partnership with other organisations committed to peace. 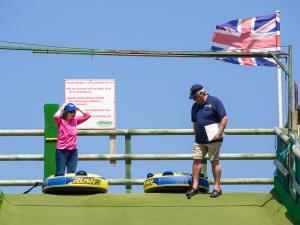 Where There's a Wheel There's a Way - Freedom to access Jersey's beautiful beaches. 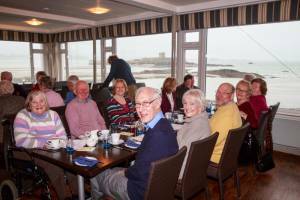 Annual fund raising breakfast, this year for the benefit of Aquaboxes and held at the Royal Channel Islands Yacht Club, St Aubin. 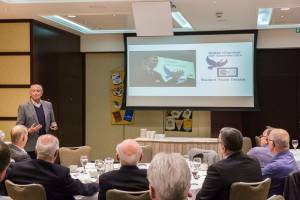 Cliff Blanchet is presented with Honorary Membership and Jerry Ramsden gives us a History of the Good Companions Club and a briefing on the planned rennovation at the property. 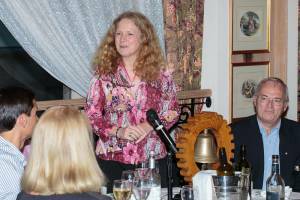 Katrina Rondel brings us up to date with developments at Shelterbox. 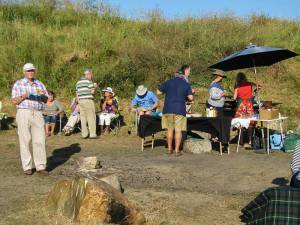 Carols, Songs across the Decades, good food and good company what more could you want? A review of the Budget and Capital Expenditure plans for 2014 together with an explanation of the Pension Changes planned for the Public Sector Pension Scheme in 2015.
a talk by Tracey Watson (seen here being introduced by Peter Walsh) and the induction of Gary Tye. 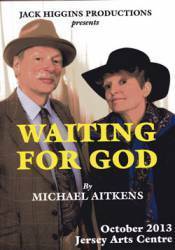 28 members enjoy an evening "Waiting for God" at the Jersey Arts Centre. Computer "Master Class" otherwise known as the Blind leading the Blind! 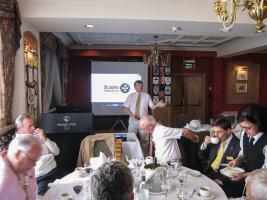 Presentation of ECOlite boxes to Jersey Asthma and Respiratory Society.